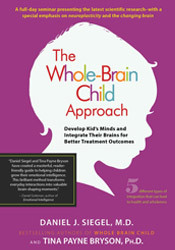 Join bestselling authors of The Whole Brain Child, Dr. Daniel Siegel, M.D., and Dr. Tina Payne Bryson, Ph.D, present the latest scientific research — with a special emphasis on neuroplasticity and the changing brain — in a way that’s clear, interesting, and immediately practical. 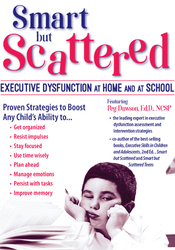 You will learn how the role of experience and focused attention effects the ever-developing brain within children and adolescents. Using stories, case studies, practical suggestions and a lot of humor, Siegel and Bryson provide creative strategies of how to use brain science in your practice. You will learn five different types of integration that can lead to health and wholeness. This video will highlight types of integration and provide case examples demonstrating practical strategies to integrate into your practice. Help kids acquire new tools to become resilient and feel hope about achieving lasting change in their lives. 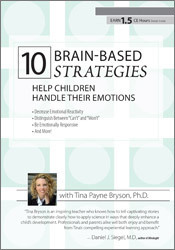 At the end of the recording, you will have a new framework for treating your clients, along with 12 Whole-Brain strategiesto help kids move from reactivity to resilience. Details :Multi-disc DVD recording (5 hours, 43 minutes) with electronic manual and instructions. Authors: DANIEL J SIEGEL, M.D. Analyze the efficacy of movement as a method to shift a client’s automatic emotional and bodily responses. Dr. Siegel received his medical degree from Harvard University and completed his postgraduate medical education at UCLA. He served as a National Institute of Mental Health Research Fellow at UCLA. Dr. Siegel publishes extensively for the professional audience. He is the co-editor of the Handbook of Psychiatry and the author of numerous articles, chapters, and the internationally acclaimed text, The Developing Mind: How Relationships and the Brain Interact to Shape Who We Are (Guilford, 1999). This book introduces the field of Interpersonal Neurobiology, and has been utilized by a number of clinical and research organizations worldwide, including the U.S. Department of Justice, the Vatican’s Pontifical Council for the Family, Microsoft and Google. The Developing Mind. Second Edition was published in March 2012. Dr. Siegel serves as the founding editor for the Norton Professional Series on Interpersonal Neurobiology which contains over three dozen textbooks. He has also authored Parenting from the Inside Out: How a Deeper Self-Understanding Can Help You Raise Children Who Thrive with Mary Hartzell, M.ED. (Tarcher/Penguin, 2003), The Mindful Brain: Reflection and Attunement in the Cultivation of Well-Being (Norton 2007), Mindsight: The New Science of Personal Transformation (Random House, 2010), The Mindful Therapist(Norton, 2010), The Whole-Brain Child (Random House, 2011), Pocket Guide to Interpersonal Neurobiology: An Integrative Handbook of the Mind (Norton, 2012), and his latest book Mind: A Journey to the Heart of Being Human (Norton, 2016). 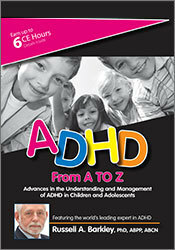 Dr. Siegel’s ability to make complicated concepts exciting as well as easy to understand has led him to be invited to address local, national and international organizations where he speaks to groups of educators, parents, public administrators, healthcare providers, policy-makers, clergy and neuroscientists. He lives in southern California with his family.